On this day in history, October 9, 1781, the bombardment of Yorktown begins, when American and French forces begin raining bombs down on the army of British General Charles Cornwallis in this small town on the Virginia coast. The bombardment of Yorktown would be the beginning of the end for Cornwallis' army and for the entire American Revolution. Cornwallis was forced to surrender his 7,000 man army less than a week later. George Washington and French General, the Comte de Rochambeau had marched south from New York over the summer to rendezvous with French Admiral, the Comte de Grasse, at Yorktown. The plan was to encircle Cornwallis in Yorktown with the French and American armies on land and Admiral de Grasse's fleet on the sea. After de Grasse drove off a small British fleet sent to bring aid to Cornwallis in early September, Cornwallis had no hope of reinforcements or escape. 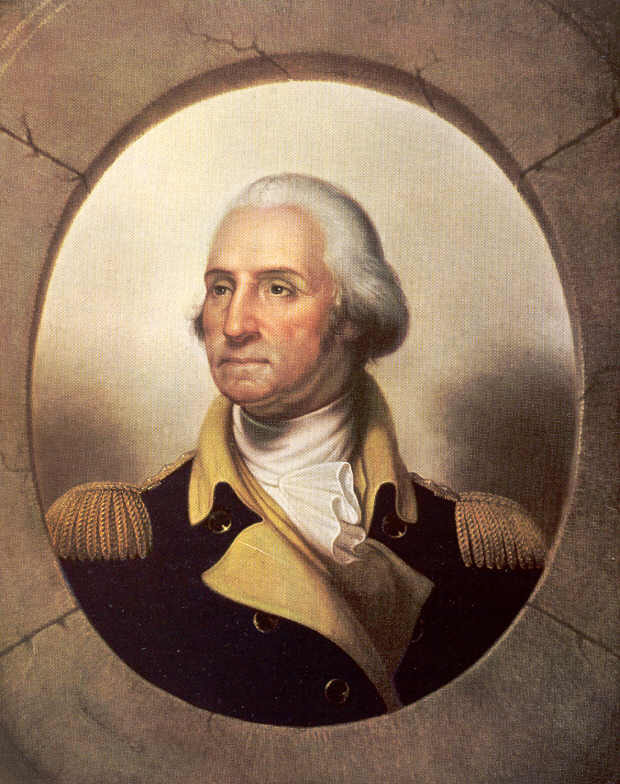 Washington led the combined allied forces of 17,000 men from Williamsburg on September 28 toward Yorktown. Over the next week, the allies moved closer and closer to the city, while Cornwallis strengthened his defenses. As Cornwallis' position became more tenuous, he ordered the outermost defenses abandoned in order to consolidate his men, still holding out hope for another fleet of reinforcements from New York. In the dark of night on October 6, the allies began digging a siege trench about a half mile from the British defenses. George Washington himself ceremoniously struck the ground with a pick axe to begin the digging. A 2,000 yard trench was dug extending all the way to the York River. The digging occurred on a moonless night. When the British awoke in the morning, they were astonished to see the trench. Over the next two days, thousands of trees were felled to reinforce the walls of the trench. 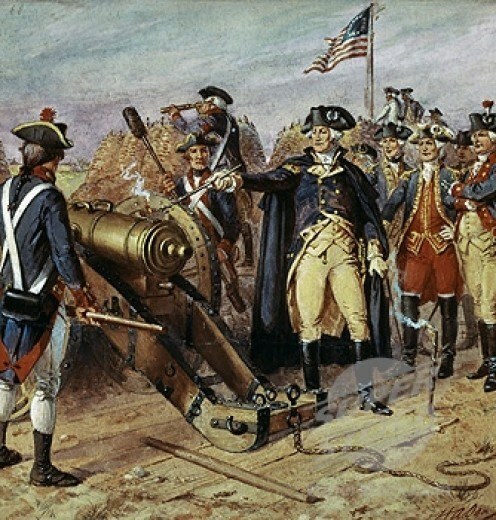 Dozens of cannons, howitzers and mortars began firing on the British positions during the afternoon of October 9, with George Washington firing the first American cannon. Many of the British positions were obliterated. British ships in the harbor were damaged. British soldiers hid in trenches and even set up their tents in the trenches for days as the fire continued to rain down. For almost a week the rain of fire did not stop. On October 11, George Washington ordered the digging of a second trench, this one 400 yards closer to the town. The trench was largely finished the next day, but the end closest to the river was blocked by two British redoubts called Redoubt 9 and Redoubt 10. Both redoubts were overrun by the Americans and French on the 14th, removing the last defenses of the city. The next day, Cornwallis attempted to storm the allied positions, but this maneuver failed. The following day, he attempted to evacuate his troops across the river to escape, but this failed when a storm arose and scattered his ships. After nearly a week of bombardment, Cornwallis met with his generals on October 17 and they decided to surrender. Negotiations took place for two days and on October 19th, the official surrender began. British troops marched out of the city to surrender and Cornwallis' second in command surrendered Cornwallis' sword to Washington's second, General Benjamin Lincoln. General Cornwallis refused to attend the ceremony, feigning sickness. The surrender at Yorktown finally broke the back of the British will in Parliament and negotiations to end the war began in the spring.